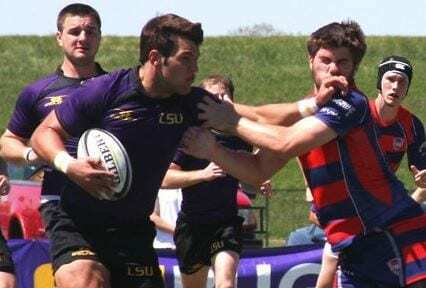 Cameron Falcon, a former LSU and New Orleans rugby athlete, was selected to play for the Wellington Lions of New Zealand. The Wellington Lions are one of the professional teams in New Zealand who compete for the Mitre 10 Cup each year. The team is made up of players that are selected to play for both national sides and Super Rugby Sides. Falcon, has long been a fixture of rugby in the states. Coming out of New Orleans, LA, Falcon has developed a long resume of experience playing rugby. Falcon has been a product of the USA Rugby age grade system, having had the opportunity to represent the USA as a Junior All-American and playing in the Junior Rugby World Cup. He played as an Eagle during the Americas Rugby Championships. He also had a chance to play under the former PRO Rugby organization in 2016. Falcon is also the benefactor of being part of a great rugby family. Falcon’s youngest brother, Brennan Falcon, has been selected as an USA Rugby First Team All-American, selected to represent the USA with the USA Rugby South Panthers U19 national team, and is currently set to represent the state of Texas in an Texas Collegiate All-Stars competition in Bermuda. Falcon, has an older brother, Jarrett Falcon, who has been the captain for the New Orleans Men’s D1 Rugby side, and won a national championship with the team. Finally, Falcon’s father, Tim Falcon, is the founder and owner of the newly formed Major League Rugby team, New Orleans Gold, and one of the original members of the New Orleans Men’s Rugby team. This is a great opportunity for Falcon, and will have long benefits to the development of his rugby skills. We hope that he will be able to bring those skills and talents back to the USA to continue the advancement of domestic rugby. Until then, we wish him the best of luck in this new journey.